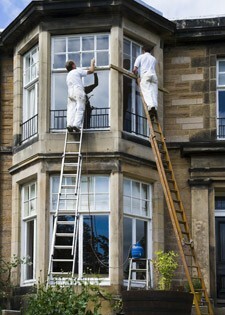 We’re skilled in all aspects of exterior painting and decorating and provide our services all over the Leeds area. If you would like some advice on decorating, call us. We’re happy to offer help and advice and will willingly talk through any ideas or concepts you may have for decorating your home. We’re working on your home, and because of that we work hard to make sure that attention to detail is at the forefront everyone’s minds. You’ll find that every one of our employees is committed to providing the best possible finish they can and each one takes huge pride in their work. We're more than happy to arrange a convenient time to come and discuss your needs. Call us and we’ll be able to provide you with a competitive, free, no obligation quote. If you would like to arrange a home visit, get in touch on Leeds 0113 370 8828.